It would seem that the crazy vaccination debate that had taken over the whole world at one point found its way to interfere with visual arts as well. 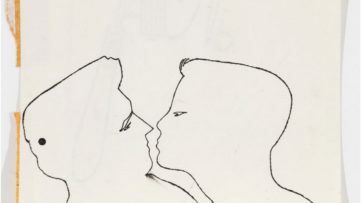 To be more precise, it became the topic of a Michael Leunig illustration, yet again. The famous Australian cartoonist expressed his opinion on the subject through his latest drawing published in The Age, and caused quite a lot of controversy and even an outcry among his own fans. The piece targets the Victorian government’s proposed law ”No Jab, No Play and No Pay”, a new policy proposed by Prime Minister Tony Abbott which will deny tax and childcare payments to parents who choose not to vaccinate their children from January 2016 on. 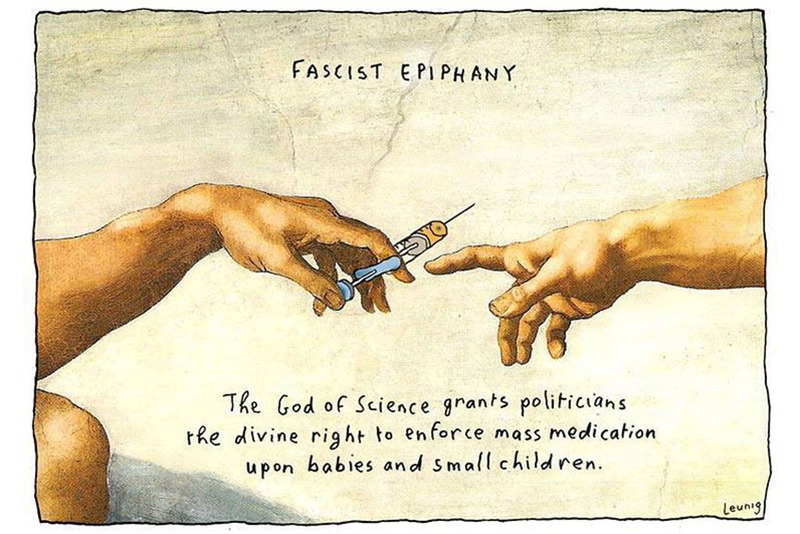 The Leunig Illustration of Vaccination – A Fascist Epiphany? 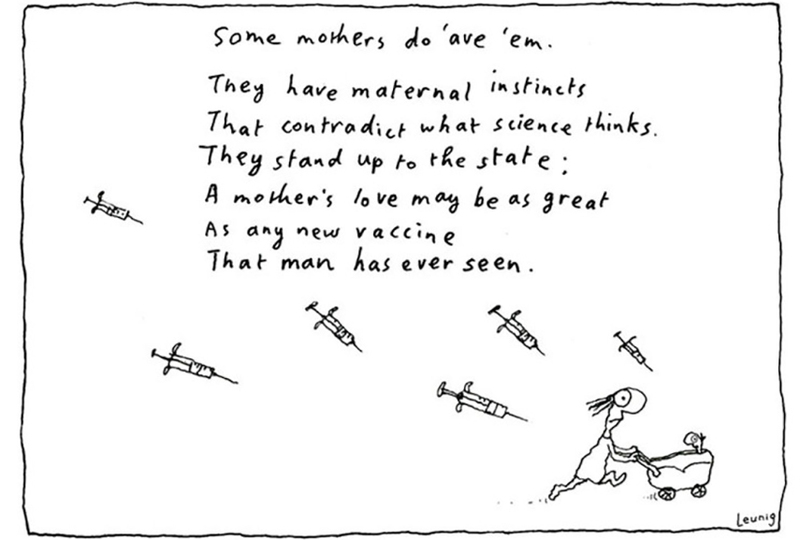 Although some claim that Michael Leunig’s opinion on (anti-)vaccination is now more than clear, we can’t help but wonder if perhaps we’re missing his point. Maybe the man is being sarcastic? 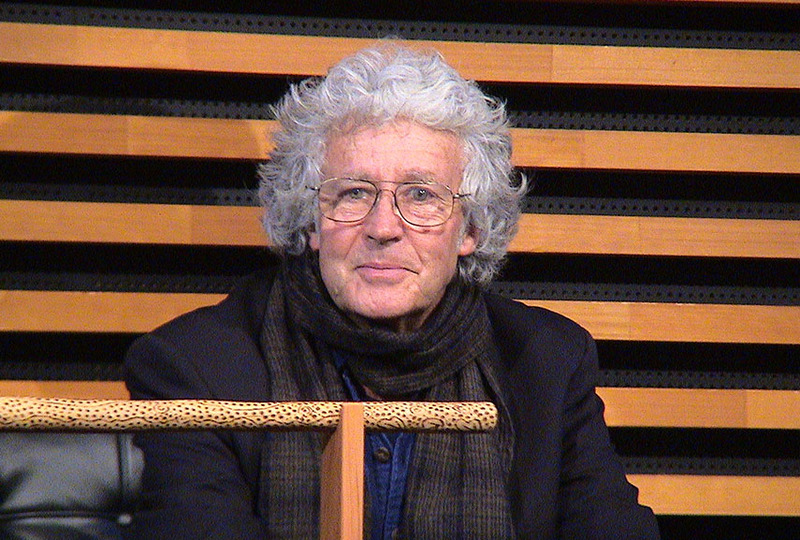 In a statement issued on the same day the controversial drawing was published, Michael Leunig has defended his work, saying that every government could have a “fascist” moment or make “fascist decisions. ”Fascist is just another name for totalitarian,”, said the cartoonist. ”It applies to overbearing, authoritarian governments telling people what they must do to comply.” He said that his illustration was a statement against the government’s move to make a decision about people’s bodies and that his work speaks ”to those who feel they have no voice.” Still, this Leunig illustration got many negative reactions, including the one from his own son, performer Sunny Leunig, who tweeted ”Whenever my father does a vaccination cartoon I let off a sigh and run for the hills.” Maybe it’s time to give up on the topic of vaccination altogether already? What do you think of the drawing? Share your thoughts on our Facebook page! 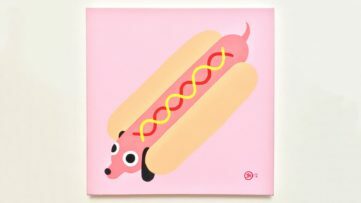 For more art news, sign up for My Widewalls today! It’s free of charge.